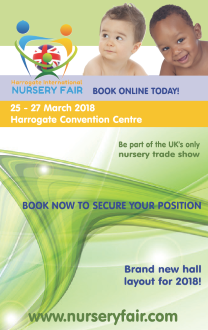 The Baby Products Association has announced the opening of its 2019 Baby and Nursery Trade Awards (BANTAs); and all companies exhibiting at Harrogate International Nursery Fair are invited to enter products which they feel are a cut above the rest. All wheeled conveyances, travel cots, infant carriers/slings, parasols and canopies, rain covers, sleepshades and other pushchair accessories. Safety gates, cooker guards, tap guards and harnesses and reins. High chairs, cots, Moses baskets, changing units, sleep sacs, cot bumpers, bedding, mattresses, mobiles, nightlights, monitors, bathing equipment, nappies, changing bags, mealtime accessories such as bottles, bowls, cutlery and soothers. All groups of car seats, travel systems and car seat accessories. Any new product which has launched to market after Harrogate International Nursery Fair 2019 and has not been seen at the show before. Entry is just £45 + VAT and must be received no later than 8th March 2019. 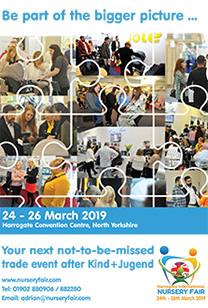 Finalists will be asked to make a sample of their product available for judges to view at Harrogate International Nursery Fair by Saturday 24th March and the winners will be announced at 4pm on Sunday 25th March in the Seminar Theatre in Hall Q.